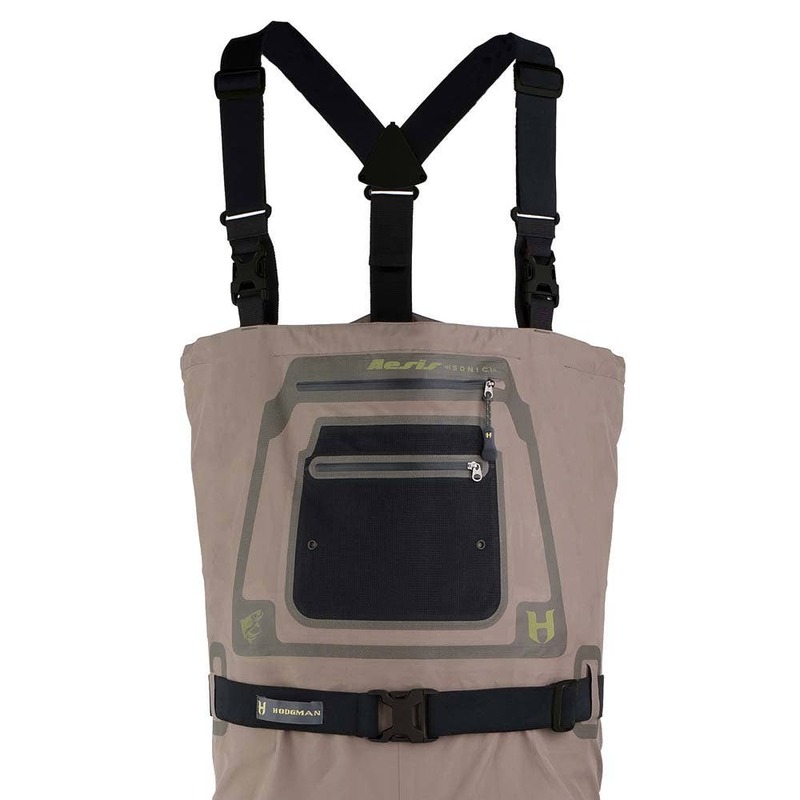 Hodgman® Aesis™ Sonic waders use sonic seaming technology to eliminate thousands of individual stitch holes. Each seam is then reinforced with waterproof seam tape. Aesis™ Sonic waders feature a tough 5-layer construction on the legs and seat as well as removing inside leg seams and still allowing articulation in the knees for a full range of motion. 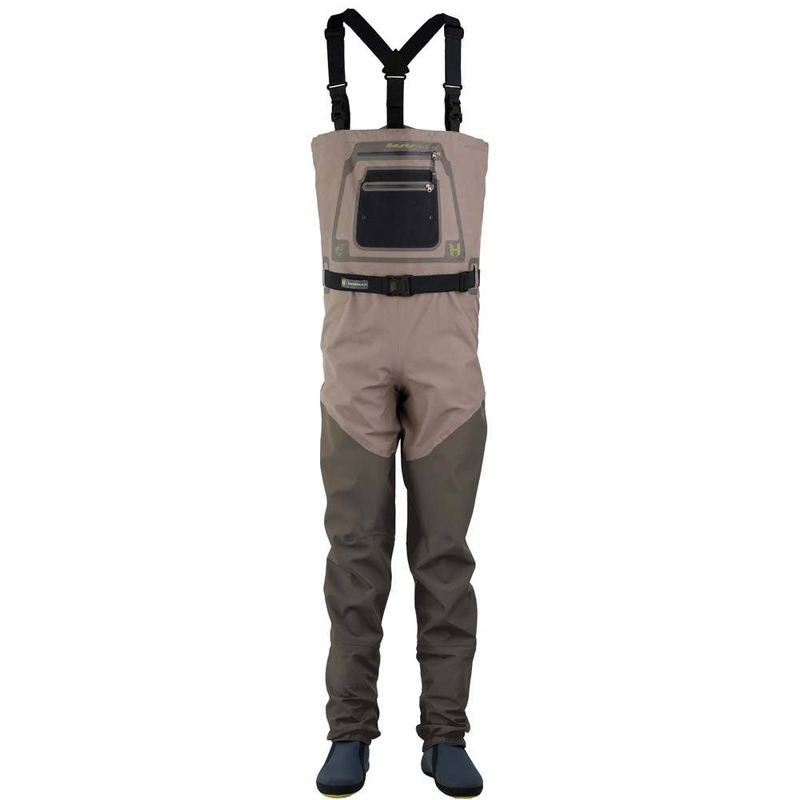 Hodgman® Aesis™ Sonic waders use sonic seaming technology to eliminate thousands of individual stitch holes. Each seam is then reinforced with waterproof seam tape. Aesis Sonic waders feature a tough 5-layer construction on the legs and seat as well as removing inside leg seams and still allowing articulation in the knees for a full range of motion. The upper wader uses a 4-layer shell fabric for added breathability and features a Durable Water Repellent (DWR) coating to shed water. 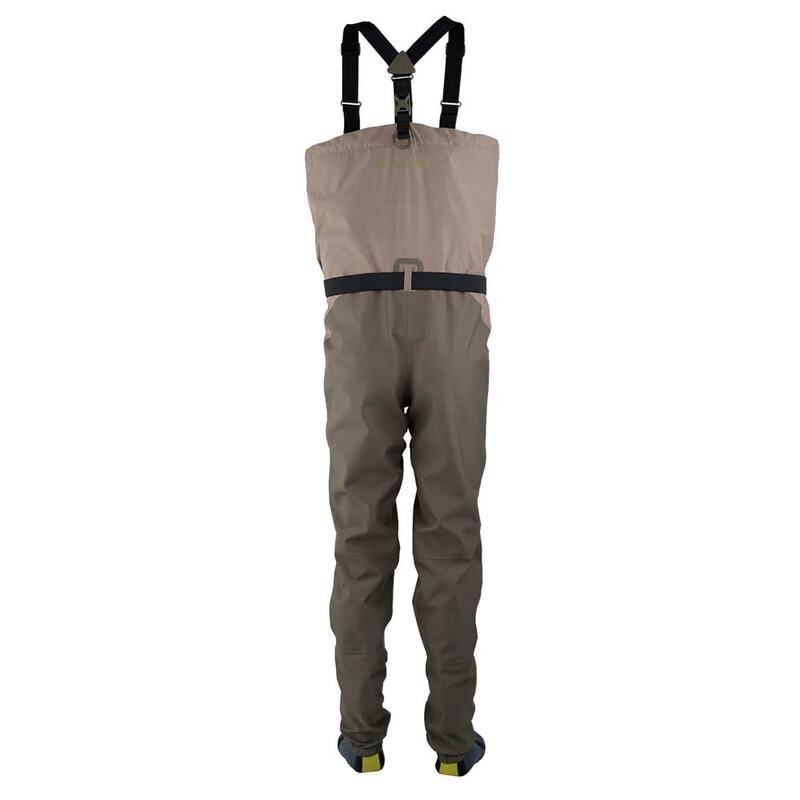 Convert your wader to waist high without removing your braces via the drop down system for hot days. Microfleecelined hand warmer pockets utilise YKK® water-resistant zips and an internal flip out storage pocket is included. The 5mm thick, anatomically correct left and right, neoprene booties provide custom fit and keep your feet warmer. 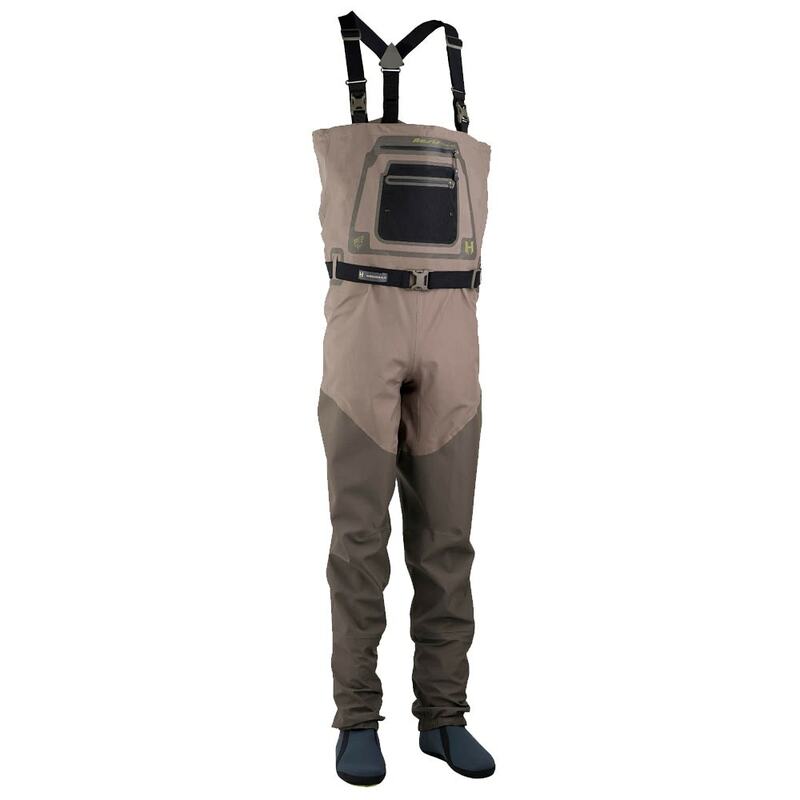 The Aesis Sonic waders are fully compatible with the CoreINS removable insulation system.